HITEC E20X Recap: Where Is Hotel Technology Going? While data has been a hot topic for years now, this year marked a notable shift in how HITEC attendees talk about data. What had in past years been a debate about collecting and storing data has now evolved into a conversation about how to make this data more useful and accessible for hotels. As a result of this change in mentality, hotels should begin to see better-integrated technology and more opportunities to store and analyze their data in one location, rather than several. Gone are the days of PMSs, CMSs, ORMs, and so on. The lines between each of these systems are starting to blur. What many of these companies have begun to focus on is building interesting add-ons or smaller features to differentiate their product offerings. 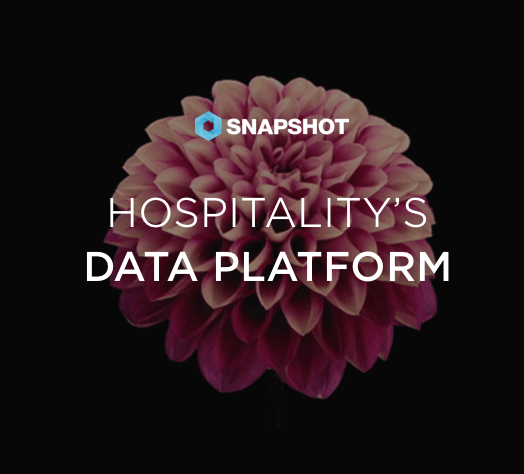 This trend has major implications for how hotels will pick and choose their software in the future – from a full-stack, all-in-one approach to a much more modular approach. There are a handful of new startups that are meant purely to better facilitate specific operations at a hotel. From filling meetings and events space (Bizly) to filling your empty rooms (HotelFlex) to hiring event staff (Hyre), new applications are aplenty for hotels looking to optimize their operations, especially when last-minute changes take place. These new technologies should help to free up time/resources and generate more revenue for hotels. As technology evolves, so does the way that guests interact with hotels. At HITEC, we saw a greater focus on tech that allows guests to interact with hotels when they want, how they want, and on the platforms they want. For example, a plethora of mobile check-in apps, a voice recognition in-room assistant (Angie Hospitality), local neighborhood guides (arrivedo), instant rewards (Stay Wanderful), and plenty of communication tools that allow guests to communicate with hotels on mobile, via chat, etc. Hotels will need to study which of these technologies will best serve their niche of guests. Hotels that implement these new technologies wisely should be able to differentiate themselves and drive more loyalty and even more direct bookings. After days filled with meetings and networking, this industry can’t resist a good party. On Tuesday, SnapShot hosted an 80’s bash to pay tribute to the last big tech revolution that shaped our industry. More than 350 people turned up to play with retro computer, video, and arcade games, and to rock out to classic 80’s music. A gallery of the photos from the event is available here. Looking forward to seeing how these trends have played out next year in Houston!